The 2nd Black Rock Shooter accessory! Yet another accessory from Black Rock Shooter! 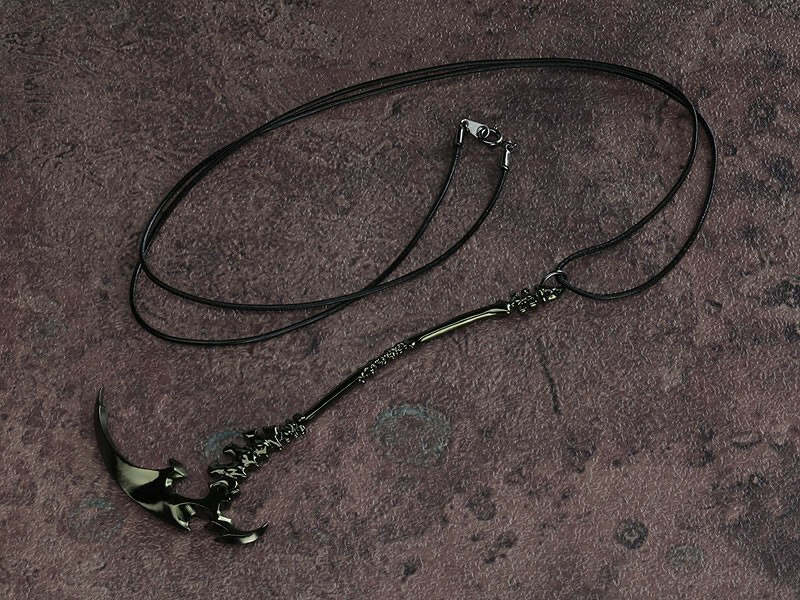 The 2nd one to join this metal charm collection is the "Dead Scythe" belonging to the series' main antagonist and Black Rock Shooter's rival, Dead Master. The charm is based on the original illustration by the creator, huke - and its unique design and tinted coloring have all been kept as close to the original as possible, creating a charm that is a true gem to the look at. It is attached to a genuine leather strap, all-in-all making a top quality accessory to keep with you wherever you go!